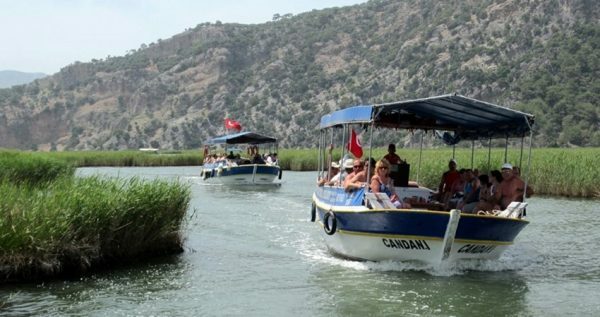 Fethiye Dalyan Tour gives you the opportunity to exprience a spectacular part of nature, as it is embraced by a radiant mix of mud baths & thermal springs, ancient sites, wonderful nature and the Turtle Beach. This excursion provides you an extraordinary holiday experience, which one can never forget. 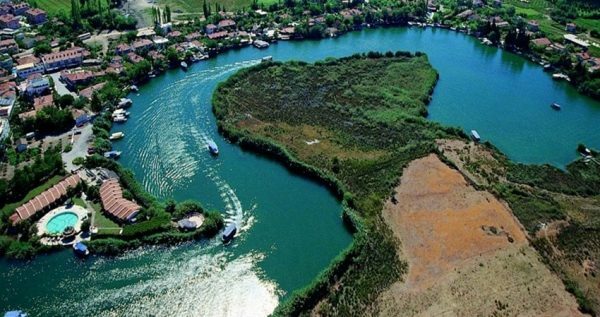 Fethiye Dalyan Tour also offers you a chance to treat yourself. One of our destinations is Mud Baths & Thermal Water Springs where you can cover your self up with mud or enjoy bathing in the hıt thermal waters of Dalyan. The sulfurous pool and the mudpath will give you heavenly chance to give a break to the rush of the cities and stressful moments. Within the tour we also offer oppen buffet dishes in a local restaurant. 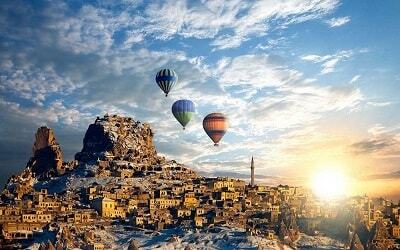 Fethiye Dalyan Tour is a pleasant escape for you exclusively and your loved ones. During Fethiye Dalyan Tour, we also offer the chance of seeing historical rock-cut tombs of the ancient city of Caunos. Those tombs are dating back to 4 Cent B.C. At this part of our trip, our english speaking tour guide will inform you about the history of the tombs and you will also have the opportunity to take photos as pleasant memories. 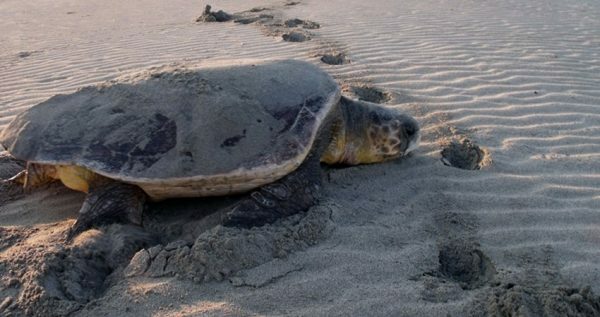 The keyword for Dalyan turtle beach is “spectacular”. It presents you a combination an amazing lake view and a pleasant sea view, so you can feel the peace at its most. It is also a great chance to enjoy the sea, beach and the sun. In this 7 kilometers long glorious beach, you can appreciate the sun and the sea and swim under a crystal-clear blue sky. The sea is not very deep, so it is safe for youngsters and some people to swim. 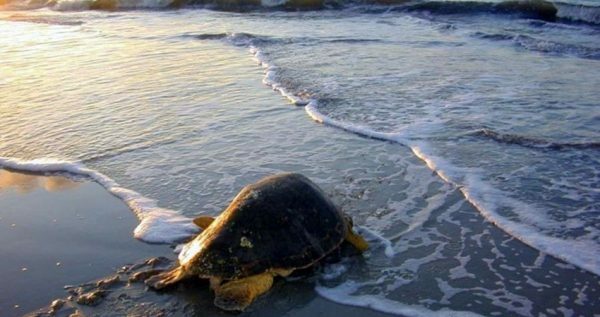 Most amazing feature of The Turtle Beach is to see Caretta Caretta Turtles in their natural environment. You will also get the chance of taking photos of those miraculous animals. Since the lake is very close to the sea, you can take the unique chance of seeing caretta carettas. It will be a memory that you will always remember. As Excursion Mania we offer a great tour with different options and alternatives to give you a happy and remarkable holiday experience, you can enjoy this chance with your family or yourself exclusively. If you want to experience this spectacular excursion, book now. 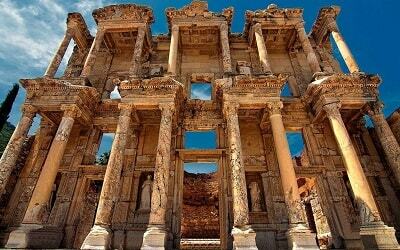 If you like to visit natural beauties around Fethiye, Day Trip To Pamukkale from Fethiye might be also interesting for you. 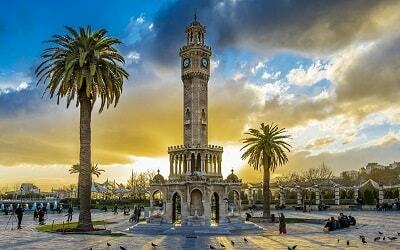 With the beginning of a fresh day, our kind drivers and guides will pick you up from hotel in or around Fethiyeregion. 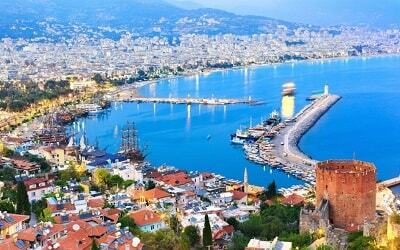 Drive to the Dalyan will take approximately 40 minutes. We will sail around the spectacular iztuzu river with little boats. You will witness breathtaking views while sailing. Our first destination is Mud Baths & Termal Springs. This springs are a unique opportunity to treat yourself in a holiday. After spending long days in your workplace and your city, it will give a chance to relax. 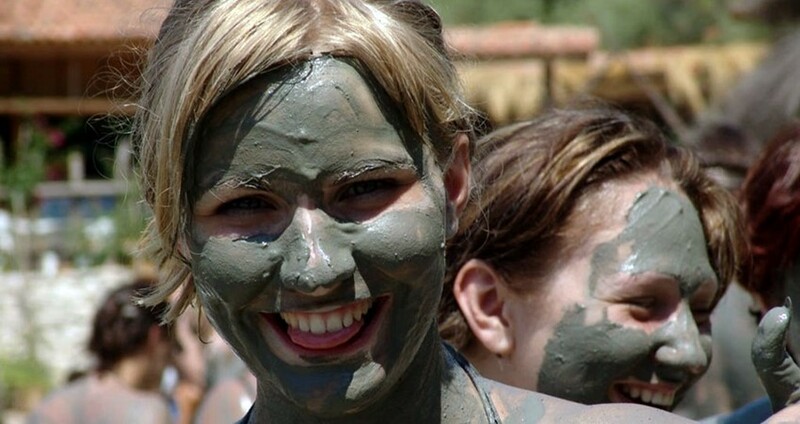 Mud has sulphur in it and it’s very beneficial for your skin. On our tour route, there is also a historical place that we kindly want to show you. 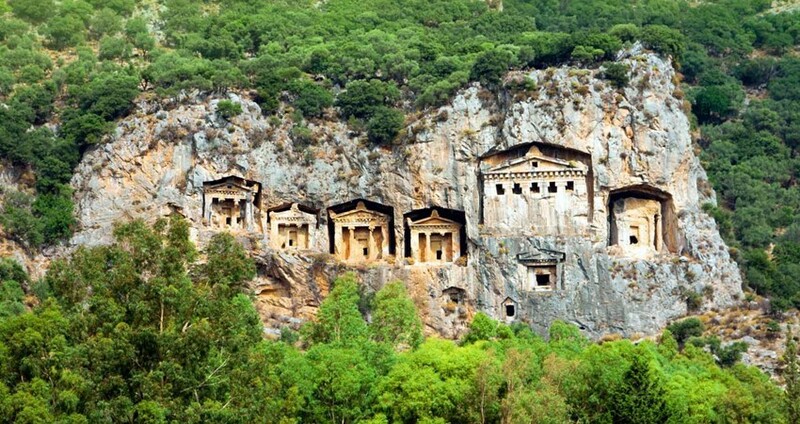 Those rock tombs date back to ancient times and it is a great opportunity to expand your knowledge about those times. You will be informed about them by our kind tour guides. Dalyan Turtle Beach is the most amazing part of our destination. You will get a chance for swimming for an hour, and at the same time you will have the opportunity of witnessing the life of caretta caretta turtles in their natural environment. As it is once-in-a-lifetime experience, please make sure that you have your cameras with you. After Fethiye Dalyan Turtle Beach Tour is finished, we will prepare for the return. With a 40-minute-long journey, we will drop you back to your hotels / apartments.